Four years back, the Motorola Razr was the most happening handset in terms of its looks, forms and style quotient. However, having delivered Razr and generated volumes through the Slvr series, Motorola got stuck. All its new line-up was strangely Razr looking and the form factor was extended to the point where it was over-used and lost all its charm and novelty. That was Moto’s last big platform which leveraged them to the tops in North America and brought them in a striking distance of Nokia elsewhere, but then the Razr platform also was the chief cause of Motorola’s fall. Motorola leadership got “stuck” to the Razr and didnot innovate ahead. That was the last we heard of Moto. Sales plummeted, Shares nose-dived, Moto Mobiles was dead and even went to the point of being bought over by some very dubious buyers. But then Android happened and the Motorola CEO, Sanjay Jha was quick to identify the Android platform as the next big thing in 2008 and consequently diverted all of the Moto Smartphone portfolio to Android. Android, the new kid on the block also needed a pedigreed OEM for partnering with it in its infancy.The rest (in cliche) is history! Android and Motorola delivered the most stunning Droid/Milestone last November and beat iPhone in becoming the best gadget of the year by Time magazine. From the launch of Droid to others such as Backflip, Sholes Tablet XT720 to the Droid II and the Droid X, i have been following Moto as they have inched forward slowly and slowly gaining acceptability and credibility all the time yet again. The good news is that Moto clawed back into Black after 8 quarters of Red last quarter. If the earlier bits were the beginning of a recovery, then the recent device announcements made by Moto should be seen as an indication that Moto is going strong and has for most parts recovered from its 3 year stint “down in the ditch”. The new Portfolio of Motos on Android power are a very interesting lot. They are as good as it gets in devices and theres no beating that. The range goes from Full Touch to QWERTY phones to Slider QWERTYs to Side Slider QWERTYs to Twist QWERTYs. 2 of the 7 Androids cover CDMA and Moto has covered 3 of the 4 US operators: AT&T, Verizon and T-Mobile as its partner. Motorola has also covered most of the target groups with different form factors: Business Users, Style Seekers, teens, Casual Users, Heavy Messaging Buffs and more. The portfolio announced is seriously potent and with Android, the only was Moto smartphones will move is upwards. For the emerging Markets Motorola is looking the Mediatek way and is trying to leverage its scale to source devices from Chinese ODMs. The EX115 and EX 128 are two prime examples of the focus on emerging markets. The challenge however in the emerging markets is that Motorola is weak in distribution and there are just too many competitors offering same specs at more value for money prices. Beating that is going to be tough and Moto will need to take a holistic and integrated approach to its mid and low end strategy in this segment. Shadow, Droid II, Nexus Two: The device and the names may be confusing, but amidst all confusion what comes through is that Motorola is at it, releasing smartphone after smartphone and this time it looks like it is the successor of Droid, the Droid II that Moto is readying laying to rest the question: What after Droid? There are two stories on Droid II and Nexus Two. One that The Nexus Two has become Droid II which means there is no Nexus two in ranks. The second is that the device has two variants: Nexus Two (without the Keyboard) and Droid II (with the keyboard). Motorola Shadow / Droid 2 / Nexus Two will have a 4.3″ touchscreen with 854 x 480 pixels resolution and 8MP camera with dual LED flash and HD video recording (most likely 720p) plus an HDMI out. 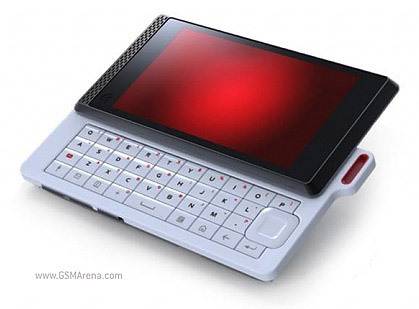 Other spec includes the TI OMAP 3630 processor clocked at 720MHz, 512MB RAM, Android 2.1 with MOTOBLUR (or maybe v2.2 Froyo) in a very thin and light body. The Droid II/ Nexus Two will also sport a WiFi readiness. 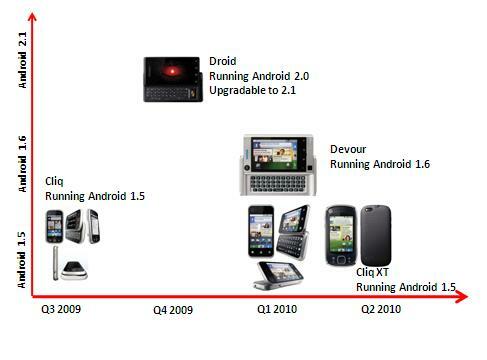 The heartening thing in the whole story is the rise of Moto and its Android machines. Slightly let down with the “almost” Droid looks though. Lets hope Droid II does what its designated to and proves Moto detractors “One Pony Moto story” wrong. This is a continuation of the Moto story which started in November with the launch of Droid. Read the blog here. The Moto Droid/Milestone was instrumental in turning the fortunes of Motorola around. The success of Moto Droid/Milestone can be gauged from the fact that there were comparisons between the Droid and the iPhone and was chosen Time Magazine’s device of the year 2009.It also ranked highest (Android device) in terms of % of web traffic by Admob for March 2010. The Droid/Milestone has arguably done its bit very well in terms of Motorola’s better-than-expected first quarter—a profit of $69 million, or 3 cents a share, on revenue of $5 billion. The Moto comeback has been overshadowed by competition worries. 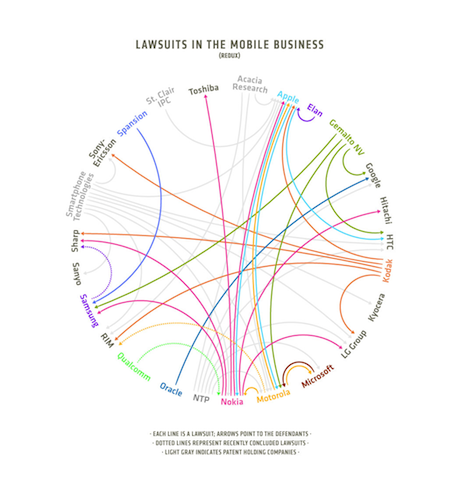 Simply put, Moto cannot rest on its Droid laurels—or hit smartphone—for very long. With competition increasingly, what will replace the Droid (right) in Motorola’s lineup is going to be critical. For now, there are no signs that Droid sales are going to fall off dramatically. However, the Droid will have to battle a bevy of HTC devices for shelf space and Android flag-ship status. The HTC Incredible is already getting rave views some putting it at par with iPhone and better than it. Google has been pushing HTC’s new phone and innovation (a spot of bother for Motorola). Even though Android is the fastest innovative platform in wireless and Motorola will not be missing in action with regards to Android, but Moto needs to ensure its stays ahead versus HTC in the reckoning for the Android OS. The good news is that Motorola isn’t a one or two device pony—the company plans 20 smartphones with shipments of 12 million to 14 million in 2010—but there isn’t a clear successor to the Droid just yet. There is some action on this front after the launch of Droid already and the carrier tie-ups are impressive and should be able to give Moto traction in consumer space. MotoBlur (Moto’s one stop Social networking platform for its phones) remains an important cog in Motorola’s smartphone lineup and will be featured on the majority of devices.The MotoBlur has seen some traction from carriers and users and given the usage data that it generates, MotoBlur could be very incidental in Moto’s understanding of usage and consumption to serve its customers best. MotoBlur will leverage social media, Location aware services and leaner data consumption to push convergence to its users. Given the success of iPad, Motorola also sees a spike in media consumption habits and devices used at Home and creating a home based eco-system in the near future. The Tablet and other form factors and solutions would thus form an integral part of the Moto roadmaps going forward. Moto was just too good to write it off, and after gone through 3yrs of oblivion, Motorola seems to be coming out of its dark days. There’s more that needs to be done to stay ahead but currently Moto seems set for a good Q2 and more.. We will watch this space. Moto Droid: A lot rides on it! There have been many contenders to iPhone’s best smartphone crown and yet none have really come close to the Apple’s prodigy (check statistic). On the other hand, Motorola has been lying dead for 3 odd years. (When was the last time, Razr was hot?). But then, all it takes is one strong offering to win back consumer confidence and cheers. (Ask Palm!). Earlier this month, Moto announced the Cliq, a social networking machine (Pic Below).And while it’s unlikely the new Moto Droid will knock the iPhone off its perch as the top consumer smartphone in the world, it could be in a position to pose the most serious challenge yet to the iPhone’s unquestioned supremacy. Powered by Android and backed by Verizon, Droid has the right combination of strong hardware, Google’s brand strength and Verizon’s network that could present the iPhone with a formidable foe over the next few months. 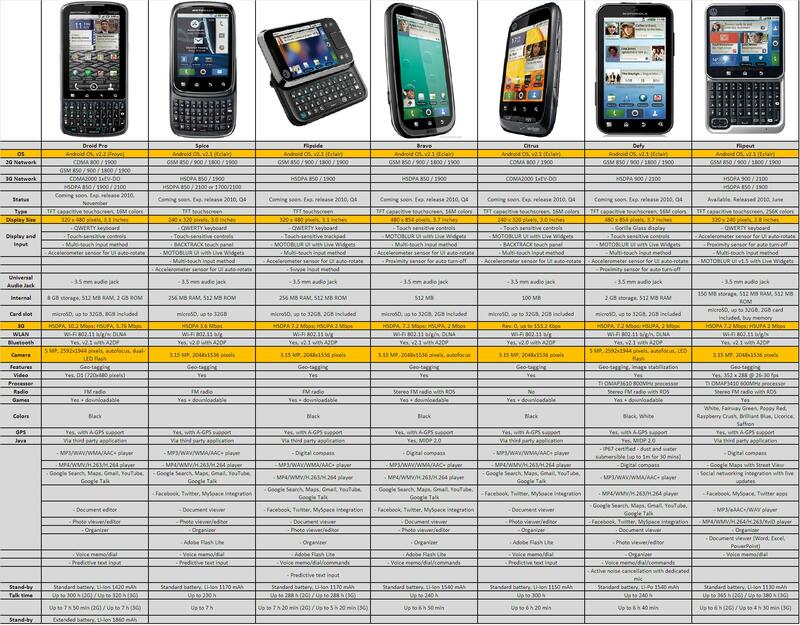 Here’s how the stack up: The Droid versus the iPhone. The real test of Moto Droid will be when the rubber hits the road. It stacks up well against the iPhone! On other terms a lot of other successes including that of Android as a platform and Verizon’s flagship devie depends on the success of Droid.